The winner of the 2016 Oregon Book Award for creative nonfiction and the Lambda Literary Award for memoir, these essays chronicle some of life's biggest dramas: marriage, divorce, and the quest for the perfect fashion accessory. 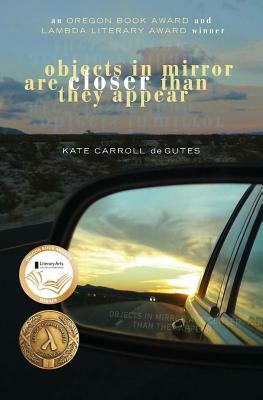 On the surface, Kate Carroll de Gutes' debut collection of essays considers her sexuality, gender presentation, and the end of her marriage. But, as editor Judith Kitchen says, "peel it back, begin to take it apart, semantically and linguistically and personally, and it all comes clear." Kate Carroll de Gutes invites readers to become collaborators in essays about issues we all face: growing up, identity, love, loss, and sometimes, the quest for the perfect fashion accessory. With wit matched by self-compassion and empathy, the essays offer a lesson on the inevitable journey back to the places we all began. "On every page, de Gutes reminds us that we all traverse life's roads with one eye fixed on the receding and mirrored past." - Stephanie Kallos, best-selling author of Broken for You.